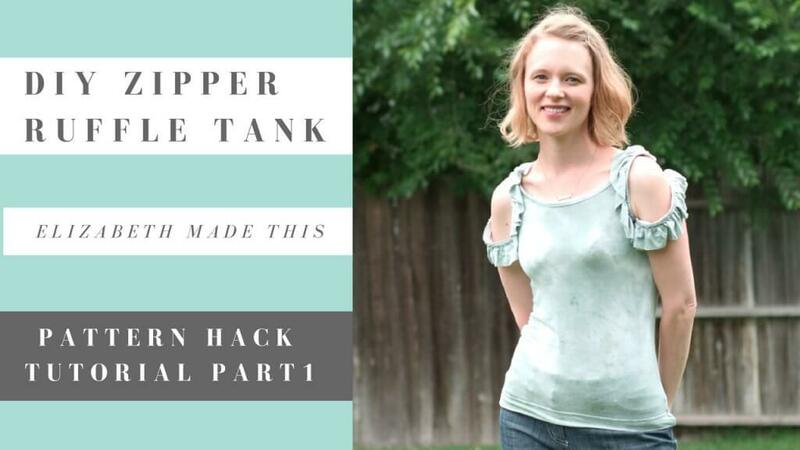 Here’s all of my videos for the zipper ruffle tank. I explained a bit how I made mine in my last post, but here you can see my whole process. Don’t forget to vote for my zipper ruffle tank below. Melissa has challenged me to a friendly round of Who Made It Best. Check out her version of the Greenwood Tank. Hey, in other news, my Overdyed Fringed Charlie Dress made it into the finals of dress week for Indie Pattern Month at The Monthly Stitch. The voting is over, and I’m curious to see how it all went down, but do check out all the lovely finalists.